New figures released by EDF Energy demonstrate the potential of a new nuclear power station at Sizewell C to create local jobs and skills. A report into Sizewell C’s sister station, Hinkley Point C shows that 1,700 people are already employed locally – just two years into construction and that more than 380 apprenticeships have already been created. The report into the socio-economic benefits at Hinkley Point C has been welcomed by Suffolk Chamber of Commerce and young people’s charity Inspire Suffolk. As well as tackling climate change by providing decades of reliable, low carbon electricity, Hinkley Point C and Sizewell C will provide lasting social and business benefits. These range from increasing local employment, to the development of a sustainable regional supply chain and the advancement of new training facilities and qualifications. The report highlights the big efforts to build a pipeline of skills from schools to the site. 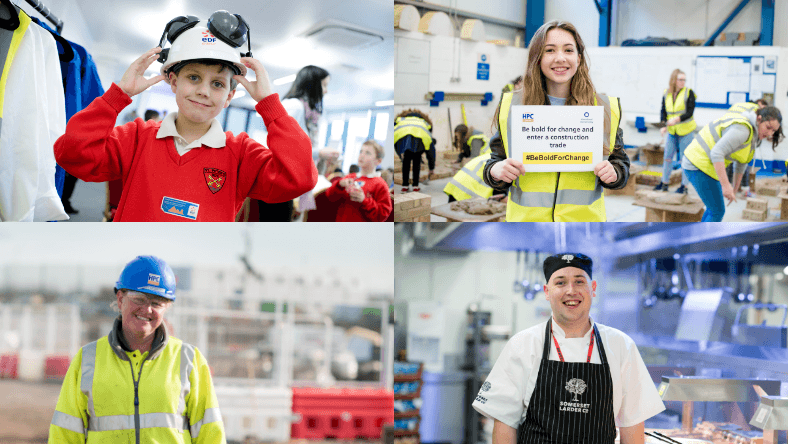 Last year, Hinkley Point C worked with 14,500 pupils in over 100 schools and colleges. Efforts to increase the poor level of diversity in construction have shown women succeed in areas traditionally dominated by men – like operating the 50 cranes where half of the first crane apprentices are women. Work to improve accessibility in 2018 also saw the first intake of from a new supported traineeship for those with special educational needs. Jim Crawford, Sizewell C project development director said: “Our aim is to maximise the huge benefits in jobs and skills for local people, especially the young, whilst minimising the environmental impact of the project. This report shows the benefits Suffolk stands to gain from a new nuclear station at Sizewell.